Moray Council's former dredger Shearwater at Cromarty in December 2018. The Selkie has not moved from its berth at Buckie Harbour for about six months due to issues about staffing the vessel. Yet, while the £2.5million dredger has been sitting unused, the Shearwater has made money from contracts all over the country, including at Cromarty and Loch Oich, near Invergarry, and has been in Southampton for the last two months. The vessel was labelled a “liability” when it was sold for scrap in 2012 amid mounting maintenance bills following more than 40 years of service. Last night, that decision was questioned by an opposition councillor while the commissioning of the Selkie, which launched in 2016, was defended as the most economical option at the time. Conservative councillor Marc Macrae, chairman of the council’s audit and scrutiny committee, said: “It’s very embarrassing for a council, who declared the Shearwater as unseaworthy, to see it making money all over the country. 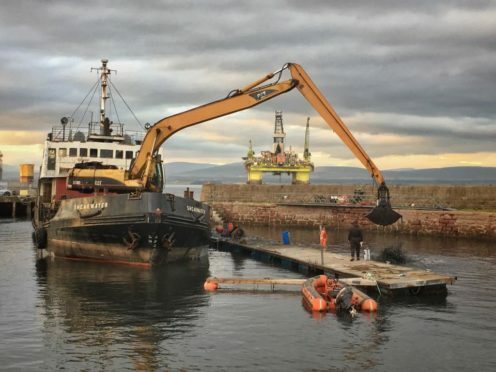 “The person who took it on has obviously invested money in it, but I wonder whether the decision had been taken to get a new dredger was taken before the decision was made to get rid of the old one. Moray Council’s dredger Selkie at Burghead Harbour. 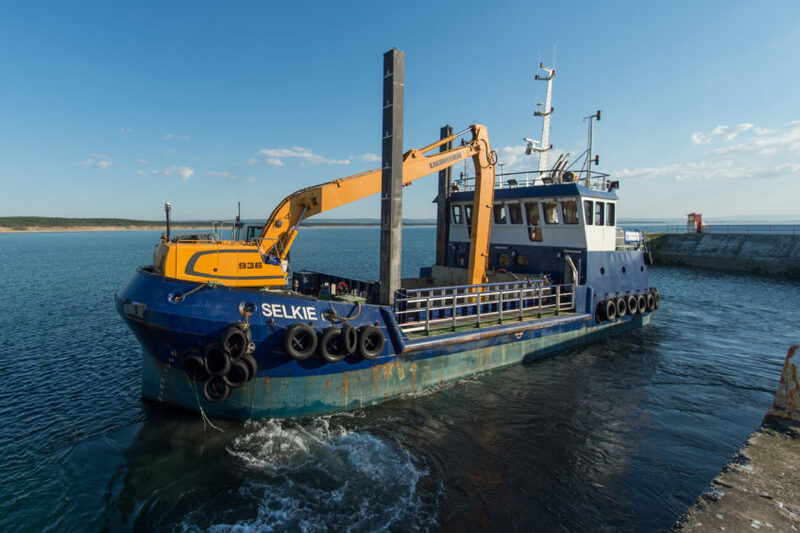 A schedule has been drawn up to return the Selkie to operations in the coming months once the staffing issues for the vessel have been resolved. It is understood regular maintenance has been carried out to ensure it is still seaworthy. Council leader Graham Leadbitter, who is also chairman of the authority’s economic development and infrastructure committee, said: “It’s obviously been many years since the decision was taken to dispose of the old dredger and purchase a new one. “During that time, it’s done a fairly reasonable amount of work. It’s impossible to say, without knowing the running costs of the former dredger, what is cheaper.